There is only so much the human body can take. We all know what it feels like to be stressed, worn out and tired. We all have days where we feel like we can't take anymore; like we are worn out, overwhelmed and mentally depleted. The difference lies in how we perceive, react and choose to respond. Those of us that have the ability to adapt to the inevitable changes that arise in our unstable world today manage to fare far better than those who fall apart. Stress is something we all suffer from and the toll it has created on this society is unparalleled. Depression and Anxiety rates are up, and more people are suffering from 'Burn-out' than ever before. For this reason, I've decided to do an entire series on natural supplements, and ways to help combat STRESS and it's negative side effects. Today I am focusing on Rhodiola Rosea . 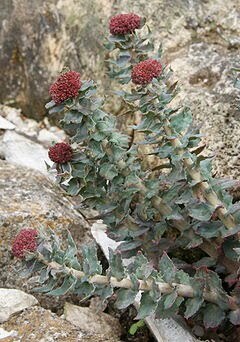 Rhodiola is a plant that only survives in the harshest of sub-arctic climates (much like MACA ). In fact, this perennial plant grows in areas up to 2280 meters elevation and as such, is chock-full of nutrients to help it sustain and survive in such harsh conditions. It is considered an Adaptogen- because it helps us cope, withstand stress and adapt on a physiological level. Rhodiola has been studied for enhancing mental function, focus, concentration, endurance, uplifting the mindset, supporting our immune health (when stressed our immune systems are weakened, leaving us prone to infection, disease, and illness), supporting our adrenal glands, and cardiovascular and nervous systems when we are under conditions of undue stress. It has been extensively studied with proven positive benefits for both depression as well as physical and mental performance. 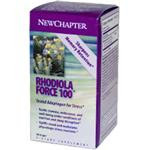 Rhodiola normalizes the heart after intense activity, and increases blood flow to muscles and the brain. It has also been noted for increasing protein synthesis, and for having anti-mutagenic and anti-depressive benefits with many impressive human based studies conducted. It has been studied for effects on longevity with promising results, and is also safe with numerous studies on its toxicity level. Rhodiola improves our immune systems by not only making us more 'immune' to stress, but by also increasing our killer T-Cell activity (immune defence cells). Some of you may be aware that the Russian Cosmonauts and Russian Olympic athletes all use Rhodiola to help their bodies adapt to the severe stress they are under and increase energy. When we are under stress, our Endocrine system goes into overdrive; secreting cortisol, epinephrine, adrenaline and other hormones. We also leach more B vitamins and other nutrients to help our body adapt and keep us safe. Being a resilient herb,Rhodiola provides us with much needed nutrients to withstand all of those changes our body is going through due to being so nutrient rich itself. This 'tops' us up when we feel depleted. 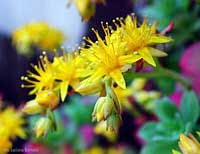 Rhodiola rosea may be effective for improving mood and alleviating depression. Pilot studies on human subjects showed that it improves physical and mental performance, and may reduce fatigue. Rhodiola rosea's effects potentially are related to optimizing serotonin and dopamine levels due to monoamine oxidase inhibition and its influence on opioid peptides such as beta-endorphins, although these specific neurochemical mechanisms have not been clearly documented with scientific studies. 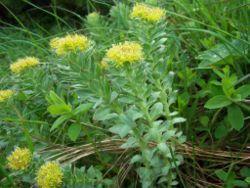 Rhodiola is included among a class of plant derivatives called adaptogens which differ from chemical stimulants, such as nicotine, and do not have the same physiological effects. In Russia and Scandinavia, Rhodiola rosea has been used for centuries to cope with the cold Siberian climate and stressful life. Such effects were provided with evidence in laboratory models of stress using the nematode C. elegans, and in rats in which Rhodiola effectively prevented stress-induced changes in appetite, physical activity, weight gain and the estrus cycle. Prevented weight gain in times of stress? Sounds good to me! In fact, Rhodiola is being studied for it's function in activating Hormone Sensitive Lipase and the bodies ability to break down store fat. In a sense neutralizing the fat storing side effects of excessive Cortisol secretion. With it's ability to increase protein synthesis (ability to produce more RNA,DNA and therefore more muscle tissue), and breakdown stored fat, Rhodiola is a fantastic Anti-Catabolic agent to add to any supplement regime. What I noticed the most when I was taking Rhodiola was an increase in Mental acuity, energy (not the caffeinated stimulant type), stamina, a sense of clarity and positive mental state. There are so many benefits to this plant and you can usually find it in everything from Stress, Anxiety and Depression herbal remedies, Sports Nutrition Workout formulas, Weight loss formulas, Focus Formulas, Anti-aging blends, Immune health formulas, Energy and Endurance products and on it's own. The active compounds are called Rosavin, Rosarin, and Rosin, so it's always important to check the ingredients and standardization on the bottle. This is usually found only in Russian (vs Chinese/Tibetan) Rhodiola. The dosage is between 200mg-600mg a day, depending on need and purpose of use. Here are some additional links with information on the various benefits of this plant/herb.